John Berry, a founder member of the Beastie Boys, has died of dementia at the age of 52. Berry’s father told Rolling Stone magazine that his son died from frontal lobe dementia, a rare form of dementia more properly referred to as fronto-temporal dementia. Symptoms of fronto-temporal dementia usually begin in late middle age. 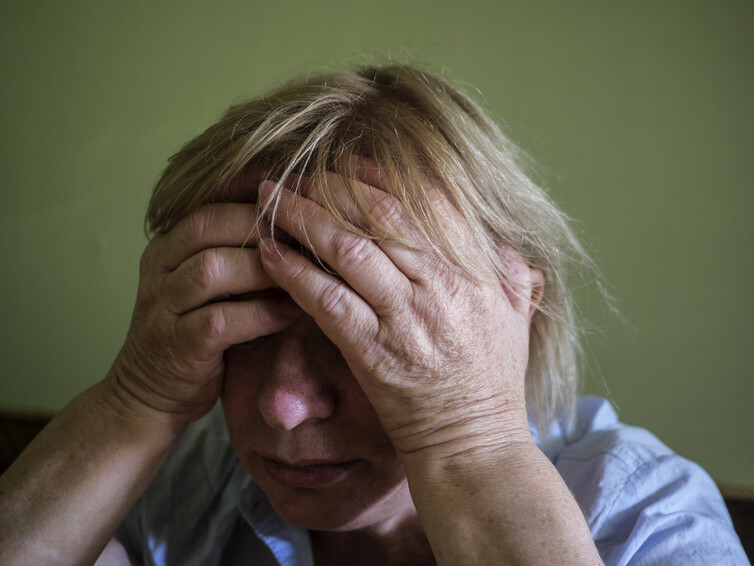 Because the disease is not very well known, people with fronto-temporal dementia often have delays in receiving a diagnosis and may find the services they need are not available. The terms used for this dementia are confusing. The changes in the brain are referred to as “fronto-temporal lobar degeneration”. These do not initially have any effect on people’s behaviour. Once signs and symptoms show up, it is possible to diagnose the condition as one of the “fronto-temporal dementias”. When the frontal lobes – the parts of the brain lying immediately behind the forehead – are mainly affected, there are changes in behaviour or personality, resulting in “behavioural variant fronto-temporal dementia”. When the temporal lobes – parts of the brain near the temples – are mainly affected, dementia shows up through changes in language, of which there are two types: semantic dementia and progressive non-fluent aphasia. Whichever type of fronto-temporal dementia people have, they do not come to the doctor complaining of the sort of problems with memory loss that most of us think of as being signs of dementia. We don’t know the specific symptoms that John Berry had as each case of fronto-temporal dementia is different, but about four to 15 people in every 100,000 have fronto-temporal dementias – and there are some common symptoms. There is huge variation in how fronto-temporal dementia progresses. But over time, it usually affects more and more aspects of thinking and functioning. It is a condition that shortens life, with people living about three to ten years after diagnosis. So what happens during the earlier stages of behavioural variant fronto-temporal dementia – the type that is sited in the frontal lobes? One way of thinking of this area of the brain is to imagine it as the supervisor of complex activities and social behaviour. When the supervisor starts to do its job poorly, people develop trouble with complicated tasks. They may not be able to get started, so they may seem apathetic and lacking in energy. When they get started they may get stuck in a groove. One carer we spoke with described how his brother would drive the car late into the night until it ran out of petrol even though he knew, on one level, that he ought to stop to fill up. Sometimes people repeat an action over and over in exactly the same way, perhaps arranging objects very precisely or following a set daily routine according to a strict timetable. As the frontal lobe overseer loosens control, people often become uninhibited. They may become blunt and tactless. They may act on appetites and urges in ways that are quite out of character: touching people, swearing profusely when irritated and eating excessive amounts of sweet foods. A particular difficulty for friends and family is that people with this dementia lose their ability to empathise. They may no longer offer comfort if someone is in tears and may seem very self-centred. As not many people are familiar with the condition, it is often mistaken for other more common conditions. People may put the changes down to mid-life crisis, stress at work, depression or the menopause. It is possible that the condition is often misdiagnosed. On average, it takes four years to diagnosis after symptom onset for younger people with dementia, twice as long as for those over 65 years of age, by which time, relationships may have broken down. People with fronto-temporal dementia are often at a stage of life where they still have children – and sometimes parents – who depend on them. So this, coupled with their increasing needs for support can be very stressful for everyone. Yet a recent national survey, currently in press, found there was a lack of provision of appropriate care across most of the country. Biomedical research is making strides in identifying many of the proteins that accumulate as plaques in the brains of the people affected. The genetic aspects which affect about one in every five to ten cases are also now understood. However, with a cure still a long way off, research into how to support and assist people to manage their day-to-day lives is also very important. In our research we have taken detailed accounts of the experiences of those affected and we will be using these to develop and test ways of helping people and their families to manage and live better with the condition.